I’m not much of a fruit person, otherwise I’d have bought some. At $4 a pint, they’re not cheap. This week’s Greenmarket haul: fromage blanc, cow’s milk ricotta, tomatoes, bread, cavolo nero, Japanese turnips, herbs, eggs, butter, cod, potatoes, radishes, summer squash and FAVA BEANS!!! I’m in the process of drafting this week’s menu. Stay tuned. 05 Jul	This entry was published on July 5, 2009 at 1:45 am. 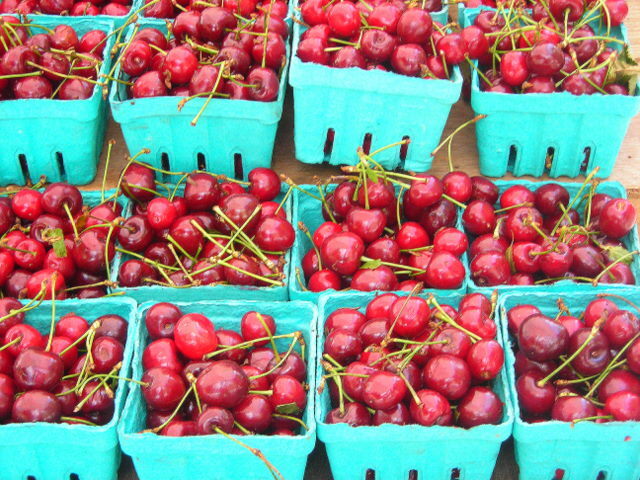 It’s filed under food, general, summer and tagged cherries, farmer's market, food photography. Bookmark the permalink. Follow any comments here with the RSS feed for this post. Argh. Those aren’t sour cherries are they? Because if so, I’m very jealous. 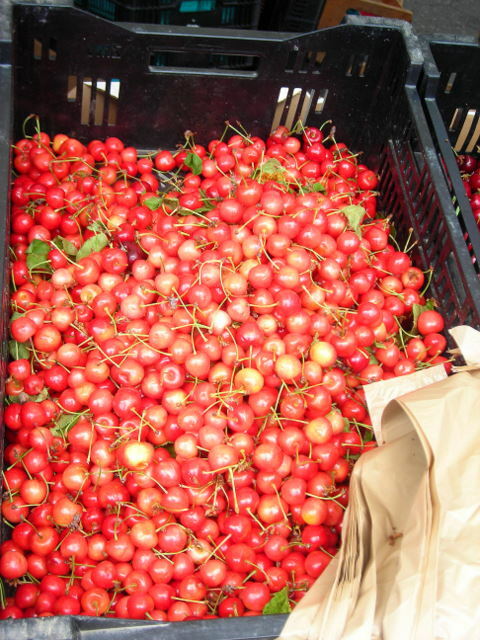 I can never find them when I want them, and I am jonesing for a sour cherry pie. But enough of my jealousy – I can’t wait to see what you do with those fava beans. Yum. 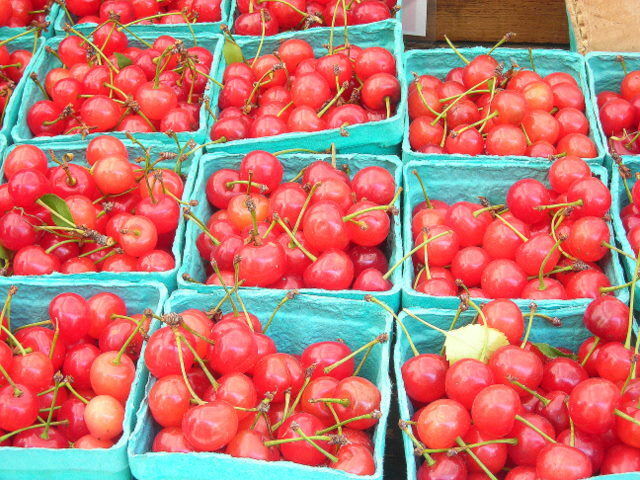 No, they’re not sour cherries — at least I don’t think so. Right now I’m thinking of either fava bean risotto or maybe stewed fava beans (with prosciutto, shallot and sucrine). Breakfast this morning was eggs sunnyside-up with heirloom tomato and cucumber salad and toasted levain.